The Golden Globe Award for Best Actress in a Motion Picture – Musical or Comedy was first awarded by the Hollywood Foreign Press Association as a separate category in 1951. Previously, there was a single award for "Best Actress in a Motion Picture" but the splitting allowed for recognition of it and the Best Actress – Drama. Marilyn Monroe won for her performance in Some Like It Hot (1959). Shirley MacLaine won twice from nine nominations for her roles in 1960's The Apartment and 1963's Irma la Douce. Julie Andrews won three times for her performances in titular character in Mary Poppins (1964), The Sound of Music (1965) and Victor Victoria (1982). Barbra Streisand won twice for her roles in Funny Girl (1968) and A Star Is Born (1976). Diane Keaton won twice for her roles in Annie Hall (1977) and Something's Gotta Give (2003). 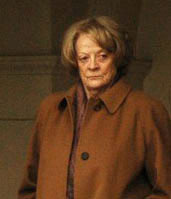 Maggie Smith won for her performance in California Suite (1978). Sissy Spacek won twice for her performances in Coal Miner's Daughter (1980) and Crimes of the Heart (1986). At age 80, Jessica Tandy became the oldest winner in this category for her performance in 1989's Driving Miss Daisy. Julia Roberts won for performance in Pretty Woman (1990). Angela Bassett won for playing Tina Turner in What's Love Got to Do with It (1993). Jamie Lee Curtis won for her role in True Lies (1994). Nicole Kidman won twice for her roles in To Die For (1995) and Moulin Rouge! (2001). Madonna won for playing Eva Perón in Evita (1996). Helen Hunt won for her role in As Good as It Gets (1997). Renée Zellweger won twice for her roles in Nurse Betty (2000) and Chicago (2002). Reese Witherspoon won for playing June Carter Cash in Walk the Line (2005). Meryl Streep has received ten nominations in this category, winning twice for The Devil Wears Prada (2006) and Julie & Julia (2009). Marion Cotillard won for playing Édith Piaf in La Vie en Rose (2007), becoming the first person to win for a French-language film. Michelle Williams won for playing Marilyn Monroe in My Week with Marilyn (2011). Jennifer Lawrence won twice for her roles in Silver Linings Playbook (2012) and Joy (2015). Amy Adams won twice for her performances in American Hustle (2013) and Big Eyes (2014). Vanessa Redgrave Leonie Delt Morgan! Julie Andrews Gertrude Lawrence Star! Barbra Streisand Dolly Levi Hello, Dolly! Juliet Mills Pamela Piggott Avanti! Jacqueline Bisset Natasha O'Brien Who Is Killing the Great Chefs of Europe? Bette Midler Herself / The Divine Miss M Divine Madness! Julie Andrews Gillian Fairchild That's Life! 2001 Nicole Kidman Satine Moulin Rouge! Meryl Streep Donna Sheridan Mamma Mia!